Panasonic has launched the Eluga A2 in India. The device has been priced at Rs. 9,490. The Eluga A2 comes with a 4,000mAh battery and weighs 167gm. It comes with a 5 inch HD display and is powered by a 1 GHz Quad-core Processor. Panasonic is expanding its Eluga line of device after launching the Panasonic Eluga Arc priced at Rs. 12,490 a month ago. The Panasonic Eluga A2 runs on Android 5.1 Lollipop with Panasonic’s FitHome UI skinned on top for single hand operation with quick access to the applications. The device features a 5-inch HD (720×1280 pixel) display. The device supports 4G VoLTE. The Panasonic Eluga A2 is powered by a 1 GHz Quad-core Processor clubbed with 3 GB of RAM. It comes with 16 GB of internal storage which can be further expanded up to 128 GB via microSD card. The Panasonic Eluga A2 sports a 8 MP primary camera with LED flash along with a 5 MP secondary camera for selfies. The device is powered by a 4,000mAh battery. The device measures 143.8x72x8.9mm and weighs 167gm. On the connectivity front, the device includes 4G VoLTE, Bluetooth v4.0, GPS, Wi-Fi 802.11 a/b/g/n, and FM radio. 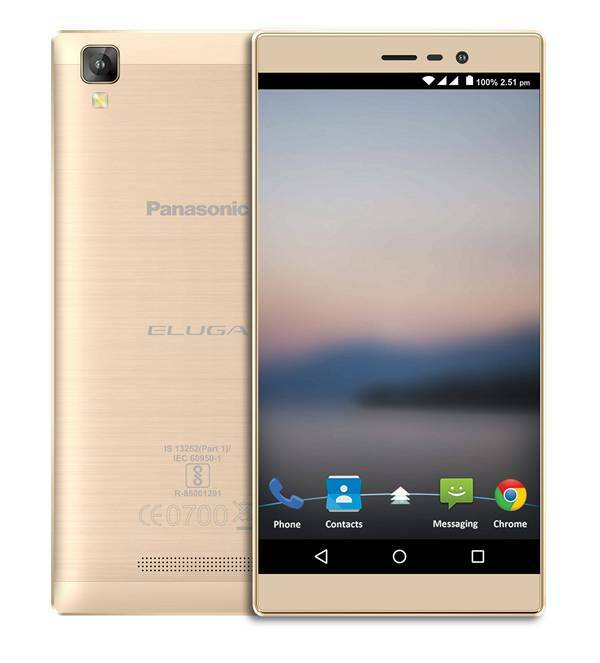 The Panasonic Eluga A2 has been priced at Rs. 9,490. It will be available in Metallic Gold, Metallic Silver color options. As an inaugural offer, the company is offering a Protective Screen Guard worth Rs. 399 free with the device.